Researchers at Drexel University in Philadelphia, Pennsylvania have been hard at work on a mission to create 3D-printed dinosaur robots. It may sound crazy, but 3D printing will allow the researchers to cheaply and efficiently replicate bones that previously were cast with plaster molds. The new digital technique will allow the team to create small, scale models of large dinosaurs and then turn those models into robots in order to study how the giant beasts moved. The study of dinosaur movement has thus far been a cordoned-off area of paleontology, since trying to turn a 80 ton plaster replica of a giant sauropod into a robot is quite dangerous and difficult – this new procedure could change all of that. “Technology in paleontology hasn’t changed in about 150 years,” said Drexel paleontologist Dr. Kenneth Lacovara, an associate professor in the College of Arts and Sciences. “We use shovels and pickaxes and burlap and plaster. It hasn’t changed — until right now.” Lacovara’s team of researchers is able to digitally scan a real dinosaur bone and then feed it into their 3D printing system. The printer sprays extremely thin layers of materials like resin in repeating patterns and a physical object is created. “It’s kind of like Star Trek technology, where you can press a button and the object pops out,” Lacovara said. A six-inch model of a dinosaur bone can be printed in a few hours using current technology. 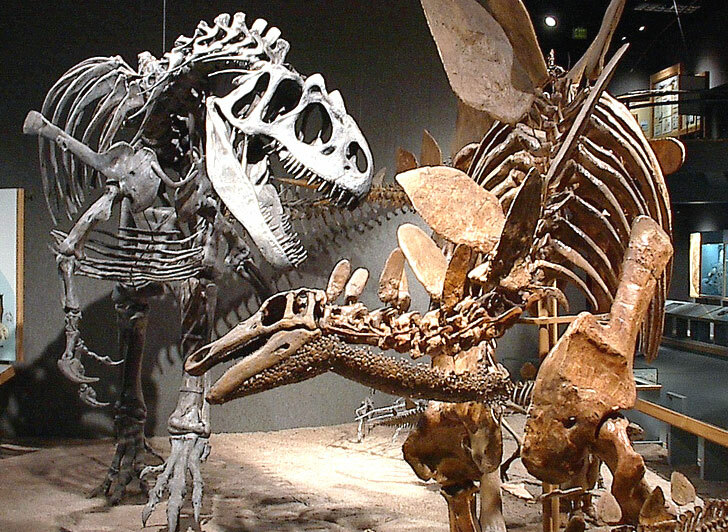 Drexel’s team of researchers plan to use their technology to easily replicate dinosaur skeletons for museums without the costly and complex process of using casts. They’ll also be able to create small-sized exact copies for educational use. Researchers at Drexel University in Philadelphia, Pennsylvania have been hard at work on a mission to create 3D-printed dinosaur robots. It may sound crazy, but 3D printing will allow the researchers to cheaply and efficiently replicate bones that previously were cast with plaster molds. The new digital technique will allow the team to create small, scale models of large dinosaurs and then turn those models into robots in order to study how the giant beasts moved. The study of dinosaur movement has thus far been a cordoned-off area of paleontology, since trying to turn a 80 ton plaster replica of a giant sauropod into a robot is quite dangerous and difficult - this new procedure could change all of that.